Whether your idea of a good time is climbing a mountain or chilling down by the sea, we’ve found the perfect walk for you. 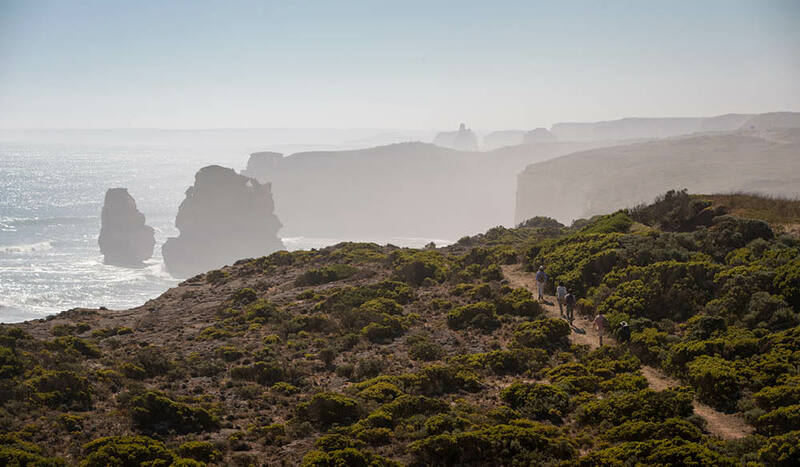 If you like to go on long, scenic walks but also want somewhere beautiful to rest your weary toes at the end of it, then Great Walks of Australia’s luxury walks will suit you down to a tee. On the Cape to Cape Walk, in the Margaret River region, you stay at one of Australia’s most luxurious hotels with one of the best spas in the state, Injidup Spa Retreat; here, your own villa boasts a private plunge pool. 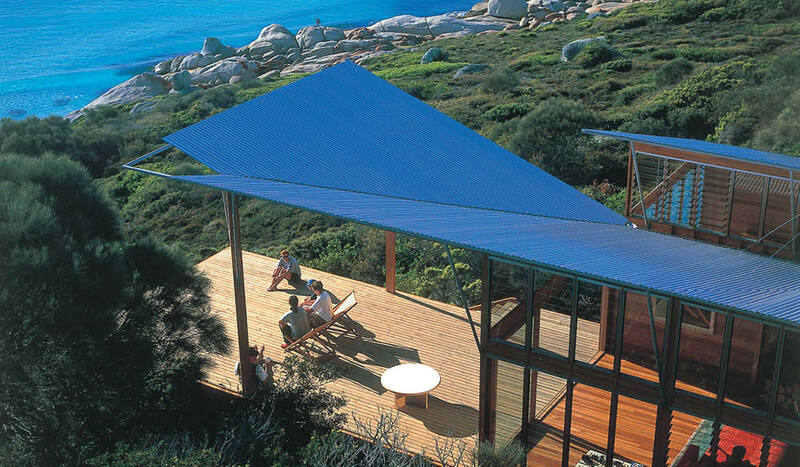 On the Bay of Fires Lodge Walk you stay at the renowned and exclusive Bay of Fires Lodge (think fireplaces and sweeping ocean views), and on The Arkaba Walk, the unique accommodation includes a night at heritage Arkaba Homestead, built in the 1850s. Need a challenge as much as a holiday? The Classic Larapinta Trek in Comfort in the Northern Territory takes you through some of the most confronting terrain in Australia. What could be more challenging than a remote Australian desert? Maybe climbing Tasmania’s highest mountain, Mount Ossa, on the Cradle Mountain Huts Walk. 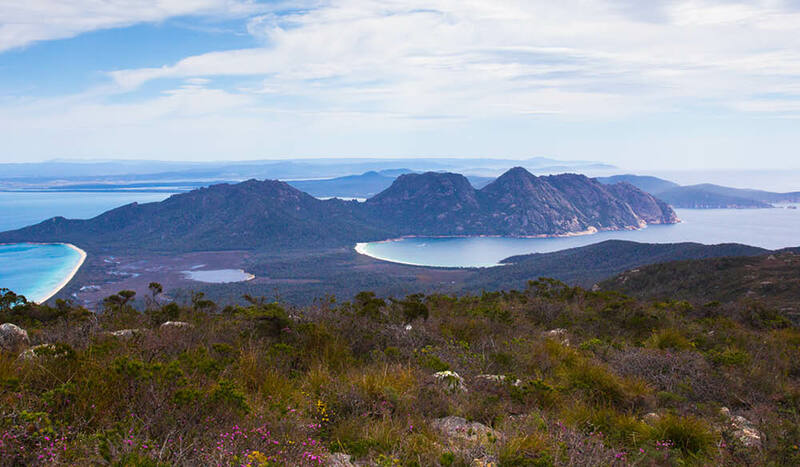 Both Tasmania’s gentle Maria Island Walk and Queensland’s Scenic Rim Trail involve deep historical insight. 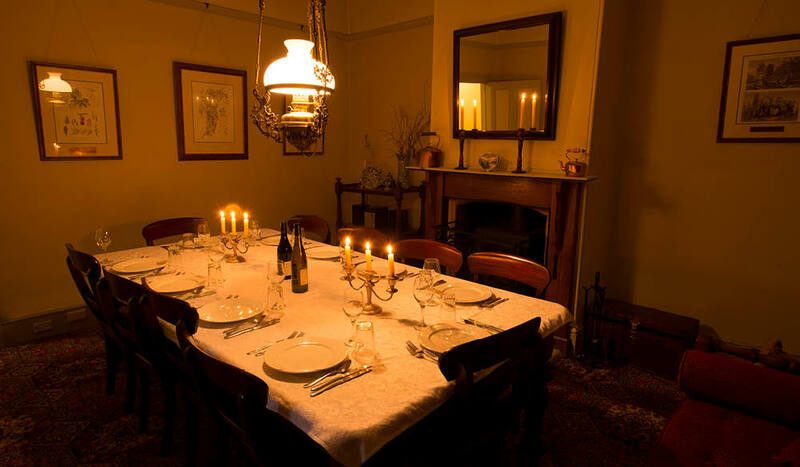 On Maria Island, walkers spend one night in a heritage house in the once-bustling penal settlement of Darlington, a UNESCO World Heritage Site. In contrast, the Scenic Rim trail teaches walkers about the Indigenous history of the area, with stories about the ancient rituals of its original inhabitants woven throughout the tour. If the seaside makes you giddy with joy, then Great Walks of Australia’s water walks will have you weak at the knees. Absorb all the beauty of Victoria’s Twelve Apostles on a walk dedicated to these iconic natural wonders; experience the crystalline waters of the Indian Ocean on the Cape to Cape Walk in the Margaret River region; or see the Apple Isle in all its raw beauty on the Freycinet Experience Walk, Maria Island or Bay of Fires Lodge Walk. Prefer a river to a sea? The Murray River Walk allows you to experience the world’s third longest navigable river on a houseboat at night, with riverside wanderings during the day. Great Walks of Australia cover off many of Australia’s most famous mountain ranges. 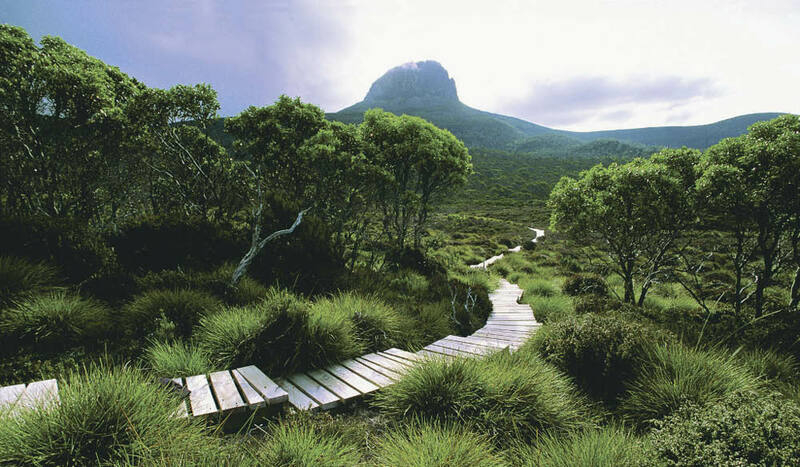 Check out the Cradle Mountain Huts Walk to experience Tasmania’s most celebrated mountain. 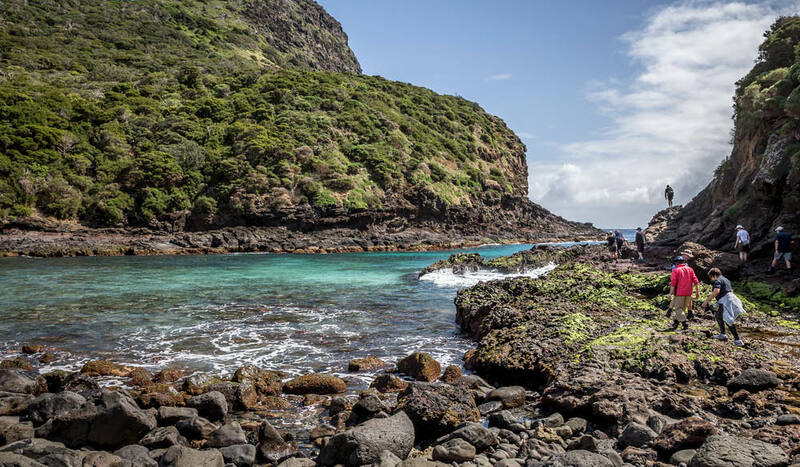 The Seven Peaks Walk on Lord Howe Island sees you traversing high mountains and low, pristine beaches, with an option to climb Mount Gower at the end, for those brave enough to conquer the 875-metre beast. 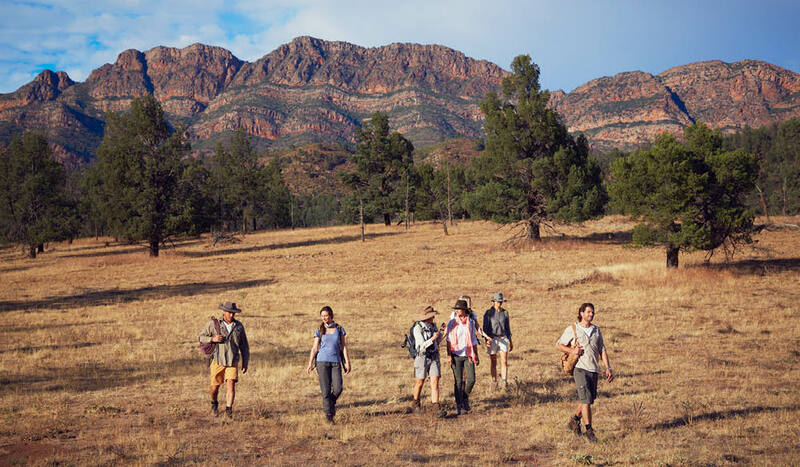 If experiencing the pleasures of seclusion is your idea of the perfect holiday, then The Arkaba Walk, which runs through South Australia’s far-flung Flinders Ranges, will be your own little slice of heaven. 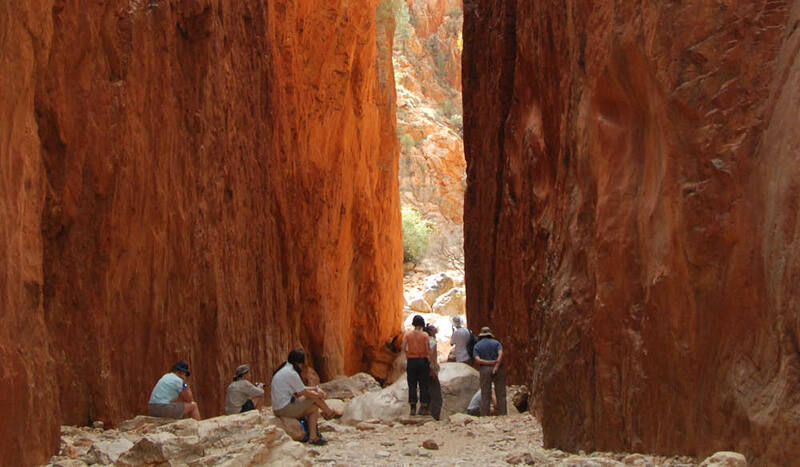 The Classic Larapinta Trek in Comfort takes you into the desert depths of the Northern Territory’s West MacDonnell Ranges – if you’re after isolation, central Australia is one of the most remote areas of the world.